Slip out of your busy stressful life, and lose yourself in our luxurious oasis available to you in two locations, Fullerton and Las Vegas. Offering you a beautifully designed, Roman-style paradise, over 32,000 square feet in size, we guarantee the royal treatment you deserve. Imperial Spa is unique for its specially-built, Korean-style heated therapeutic rooms, which are all built with different natural elements providing a variety of health benefits. Please read on for more details. When salt is used carelessly or in large quantities, it can be harmful. However, it can become a powerful remedy if used properly. The heart muscle, continuously circulates blood in the body, requiring and consuming this mineral. Salt is an important mineral for the kidney as well. Shortage will lead to excretion of less urine, yielding to excretion of less toxins and causing toxic build up in the body. If this vicious cycle continues in the kidney, it will negatively affect your metabolism, digestive cycle, muscle contraction and strength, leading to fatigue. Therefore, appropriate intake is necessary. The Red Clay Ball is made from 99% pure red clay, using infrared rays and low temperature heat treatment to preserve its conditions. Infrared ray causes the body's cells to become active and emits heat energy to discharge toxins from the body. Also, infrared rays provide insulation, deodorization, and arid effect that aids in comfortable sleep, which enhance blood circulation, and recovery from fatigue, body aches, and anxiety. Jade contains magnesium, iron, and calcium which are essential elements for the body, and is formed of fibroids and countless crystal granules. Jade radiates infrared ray with natural effect that helps discharge internal toxins, neutralizes blood to be more alkaline, and activates your bodily rhythm. Jade increases brain activity, enhancing the nervous system, and prevent/treat osteoporosis. Red clay carries solar energy necessary for growth of plants and animals by emitting large quantities of infrared ray. Especially when absorbed by the body, it increases metabolism and delays the aging process. Due to the effects of this mineral, the infrared rays emitted from red clay itself can help clean up polluted rivers and restore oceans dying from red tide. Also, red clay help balance an acidic body by discharging ions, to making the body more alkaline and stimulate blood circulation. Red clay contains an active ingredient, lipid peroxide, Which aids in the breakdown of pollutants in the skin, making it great for anti-aging skin care. 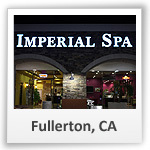 Offering all of these unique therapeutic rooms at our facility, Imperial Spa is your answer for a healthier lifestyle. Simply relax and meditate for about five to ten minutes in each of these rooms, making sue to hydrate your body with water after each use. As you sweat in each room, your body is already reaping all the benefits, undergoing detoxification and absorbing all the good energy from each room, leading to better blood circulation, less fatigue, greater skin, and more. Furthermore, indulge yourself in our resort-style Jacuzzis with massage jets available, rejuvenate your skin as you walk inside our dry sauna and salt sauna, and relax in our aroma therapeutic herbal steam sauna. Feeling out of shape? Not to worry. We also offer a gym in our beautiful patio area for the daily cardio sessions your body needs to help you jumpstart your day. And to complete your full, luxury spa experience, enjoy one or more of our soothing and stimulating treatments to relax your body and mind. Our skilled professionals are ready to delight your senses and relieve you from your stress, fulfilling each individual's needs, leaving you purely satisfied and yearning for more. Ranging from deep tissue acupressure to aromatherapy massage, as well as the option to personalize your own service, get ready to be pampered from head to toe, and feel as though you're in heaven. Everyone needs a peaceful getaway. Why wait. 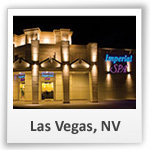 Imperial Spa is your answer to everything you need for pure relaxation and revitalization.